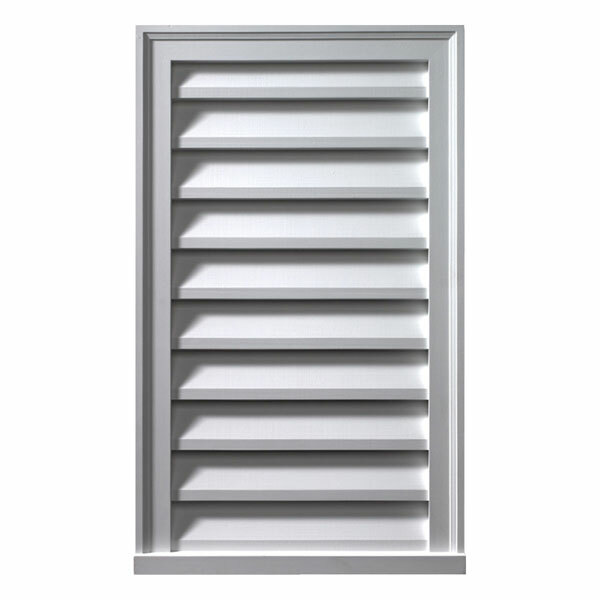 This gable vent is an excellent choice for decorative applications to your home. Gable vents are commonly used on the exterior wall where two planes of a sloping roof join, forming a triangle. The gable vent can be any symmetrical shape, but the triangle is among the most common. Other vent shapes include rectangles, steeples, circles, and octagons. This gable vent is purely decorative. If your application requires air ventilation, please see our selection of functional gable vents.